A beautiful gift voucher to be sent to say Thank You, Happy Birthday or Merry Christmas! This is a great way to say Happy Birthday, Merry Christmas or just send some encouragement to someone you care about. 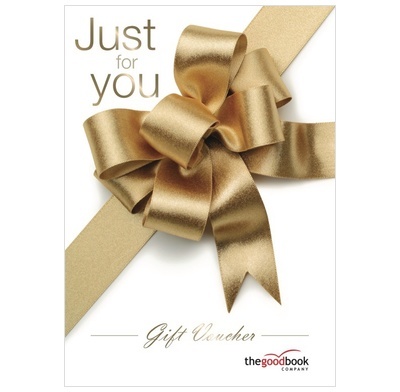 A Good Book Company gift voucher can be redeemed on any of the thousands of books or resources across our website as payment or part payment, meaning there is literally something for everyone. You can choose to email a voucher to your recipient with a personalised message (which you type in online), or we can print it out and send it to them in our specially designed gift card. Alternatively, we can send the card to you for you to forward on yourself, perhaps alongside a letter. The voucher can be used to cover shipping costs as well products and the full amount does not need to be spent in one go - the voucher can continue to be used until all the credit has been used. Every voucher has its own unique code which the recipient simply needs to enter into the discount box at checkout, or quote on the phone, for the voucher to be redeemed. I bought a gift voucher for a 40th birthday present. Alex was over the moon with it. Thank you very much for your quick service. This gift voucher is not a last minute thought to get when you have forgotten a special occasion, but a wonderful gift to give to show your love and appreciation in any circumstance. I bought these vouchers for 2 special friends and it was delivered via email and is easy to use on something that they would like. I wish I knew about this sooner! Perfect gift for a christian friend. So many titles to choose from. It came quickly and in attractive packaging. will definitely buy voucher again. Arrived in time for Christmas. My son loves this website and will really enjoy choosing books. He feels that your choices are excellent. I received the gift voucher which was a present for a friend. My only disappointment was the quality of the print on the message. I felt it was poorly done. Apart from this, a good service. Thank you.